The two amendment Bills aimed at scrapping the collegiums system that has been in place for two decades now, will now reportedly come under scrutiny by the apex Court of the country. 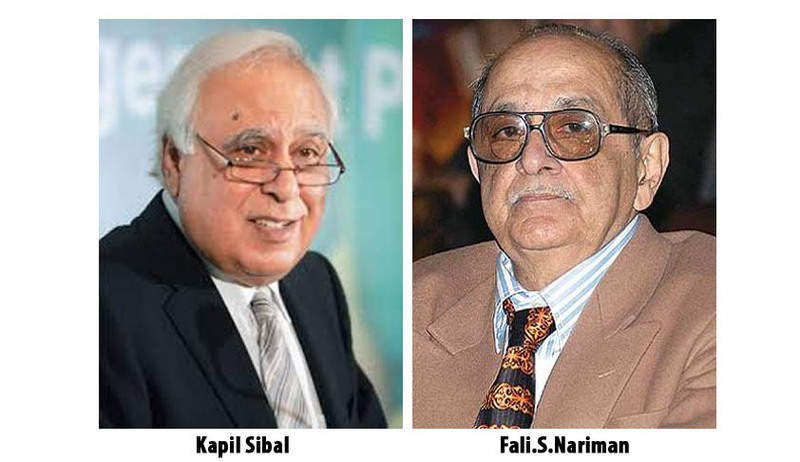 Former Union Law Minister Kapil Sibal and eminent Jurist Fali Nariman have decided to challenge the Constitutional validity of Constitution (121st Amendment) Bill, 2014, and the National Judicial Appointments Commission Bill, 2014. Sibal reportedly stated, “The legislation as passed by the two Houses of Parliament violate the basic structure of the Constitution and it is my duty as a lawyer to seek legal remedy to this serious breach of Constitution by the government. The Supreme Court can and should go into this issue, especially since this pertains to the crucial matter of independence of judiciary.” The Petition is getting readied and will be settled soon. “Many lawyers including myself will move in that direction,” he said, suggesting that he may challenge the Bills. Nariman, who was among the experts consulted by Law Minister Ravi Shankar Prasad, said that the composition of the proposed NJAC was not satisfactory as it will have only three judges out of six members. According to him, the procedure that provides a veto power to any of the two members to scamper any proposal made by a majority is not acceptable.